In the second part of our series with the magnificent Mike Allred, he talks more about Conan, spinner racks — and his early favorite Marvel books. 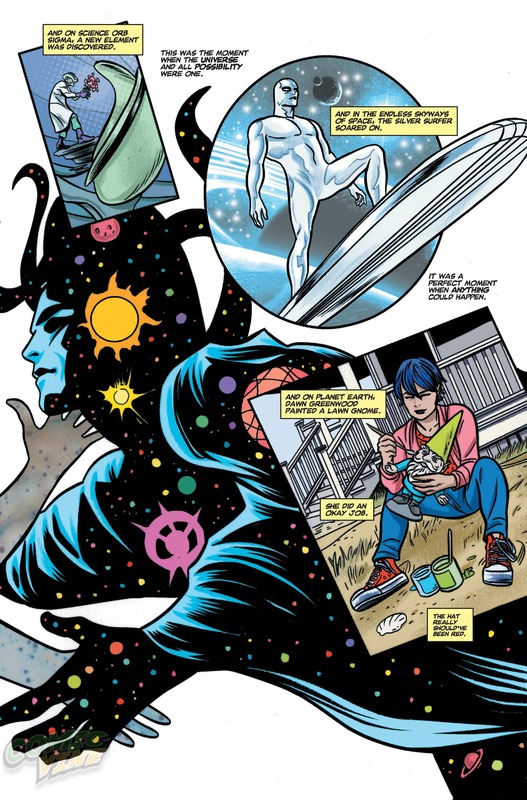 If you’re just joining us, we recently launched this interview series with Mike Allred, a 13th Dimension favorite. This is the third series we’ve devoted to a single creator: Neal Adams and Denny O’Neil preceded this, and we’ve just begun a fourth, with Len Wein. Dan Greenfield: When you talked about getting (issues) 1 to 24, was it all at once or as they came out? 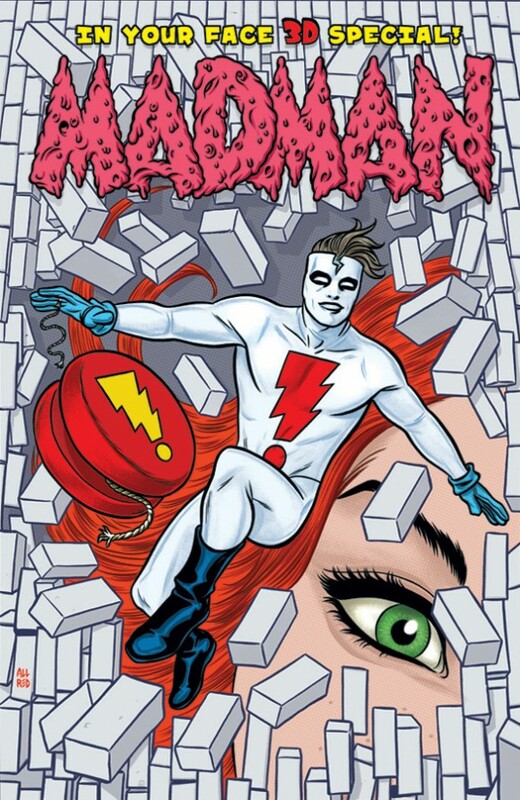 Mike Allred: All at once! They were in the back of a used bookstore, just a very cluttered old bookstore. There was a box in the back and there was a handmade sign, with markers, that said Conan 1-24. My brother had a Marvel calendar that had one of the coolest illustrations I’d ever seen. It was Conan running down this stone pathway and there were, like, cracks in the stone with plants growing out of the cracks and it just looked very cool. It was a style very different than what I’d seen before. So when I saw that — these were the only ones he ever did at first and then he did Red Nails which was in Savage Tales, a black-and-white comic. That has been colored and re-colored and reprinted time and time again since. What was crazy about this was it was between graduating from high school and going to college. My dad had gotten me a job as a lifeguard for the summer. So I lived at the summer camp and was a lifeguard. The previous summer, after my junior year, I was a lifeguard at a resort (Mike laughs) but at least I got to come home every night. Dad was like, “You’re not gonna hang around here.” So I pretty much lived at this summer camp. Then we had a break halfway through so there were two sessions of summer camp. For the entire summer, I was paid a whopping $500. (Dan laughs) These 24 issues of Conan cost $250. And so when something came up where I needed to spend some money for prepping for college, I had to fess up to my dad that I’d blown half of my summer wages on 24 comic books. (Dan laughs throughout) Yeah. It was NOT fun! Even though those comic books are worth way more than that now, try explaining that to this very practical-minded psychologist. My dad was just a very … he was a learned man so this was not a smart thing. Since then, I found one of those great “Hey Kids! 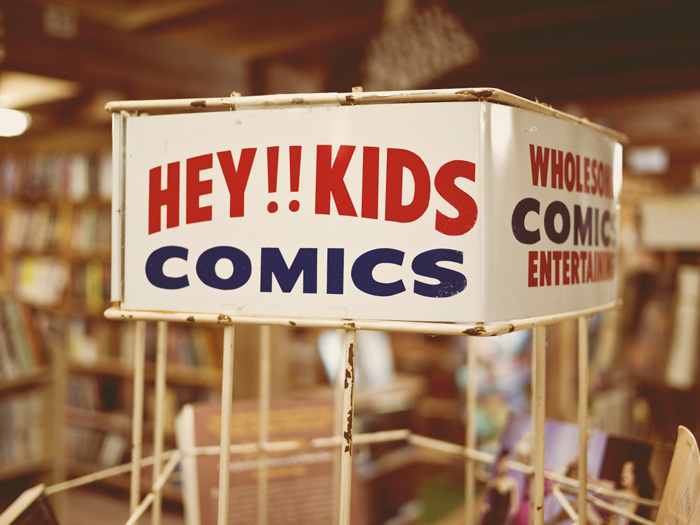 Comics!” racks, the comic book spinner racks … ? I keep those Conan comics on that rack so I refer to that rack as my magic beanstalk. Because me spending that money was like selling the cow for a bunch of magic beans and those Conan comics were… After I got those, it was the first time that I sat down and figured out exactly how real comic books were made. Where, before, I would take paper, fold it over, you know, and just use color pencils, whatever. 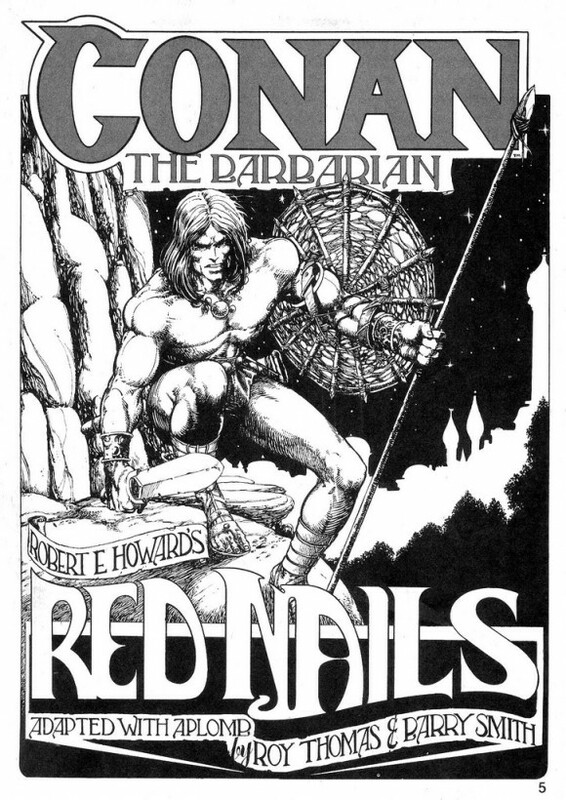 But with Conan, I found out that the artists use Bristol board and they drew oversized. So I took an old Conan pulp book that hadn’t been turned into a comic yet and I sort of tried to adapt it. 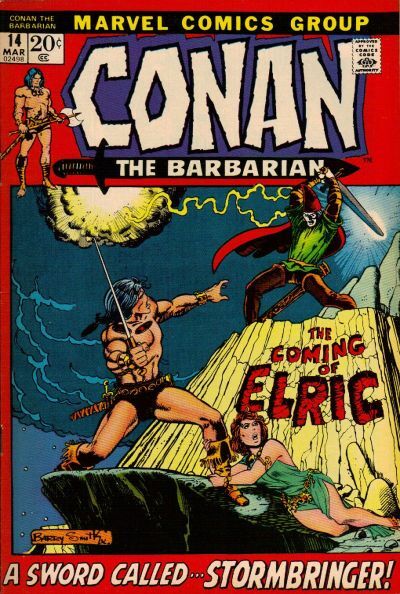 So the first time I ever seriously tried to make a professional comic book was because of these Conan comic books. Wow, that’s funny! By the way, If you ever see spinner racks out there on eBay, send me an email, because I’m always looking. I have a place in my house and I’ve wanted to get a couple but they’re not so easy to come by anymore. It’s on there. They’re pricey, though. I got mine in an old abandoned warehouse. (Mike laughs) It was covered in pigeon crap. I cleaned it up and fixed it up. It looks primo now but yeah, it didn’t cost me anything. But there is one of those and then there are two old ones, like one from the ‘40s? But it’s like garbage and they’re wanting thousands of dollars for it. But there was one just a couple of days ago so you might want to check. Just to be fair to my father, whom I loved early, he eventually came around and realized what a key moment that was for me and felt bad for making me feel so awful. But I also admitted that that was an extremely irresponsible thing to do, to spend all that money on comic books that would’ve been less than 10 bucks. So, yeah. He was able to see me have some success and the dedication that I had before he passed away so that’s good. That is good. And then, as it turned out, of course, it was not irresponsible at all. What you actually did was you bought your education right there for 250 bucks. That’s another way of looking at it. Do you own it now or were you not able to go back to it as far as being an owner? I pick up the Artist Editions. I have Marvel Masterworks and the DC Archives. In most cases, if something has been collected and it’s something I can put on my shelf, I won’t seek out the comic book. 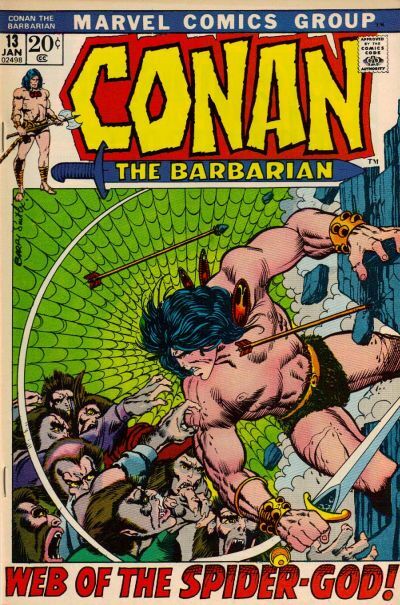 And there are some comics that I don’t care what they’re collected in, I’ll… those Conan comics! I will never sell those. There’s other comics like Tales of Suspense #97 which I remember buying at a supermarket when we were going to the swimming hole up in the mountains. It was like a picnic, family thing and I remember we were able to go in and pick up some stuff so we’d be quiet in the back seat of the car and this cover just really stood out at me. 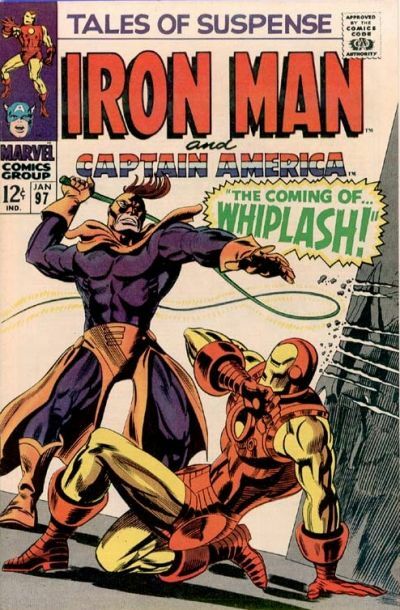 It was a Gene Colan Iron Man cover, The Coming of Whiplash! So stuff like that, I have the comic. Or the Wally Wood Daredevils. I have a lot of Jack Kirby monster comics which, mostly, a lot of them have never been collected in anything! There’s a lot of Tales of Suspense, Tales to Astonish, Journey Into Mystery collections with a lot of Kirby and Ditko monster comics collected in ’em but a lot of them have not and I just like the look, the feel and the smell of ’em! So it’s comics like that that I have on the spindle racks. They’re kept nice and they’re boarded. They have little Plexiglas sheets that are the size of the comic book so it protects them and they don’t get bent or anything and they look really cool on the racks that way.